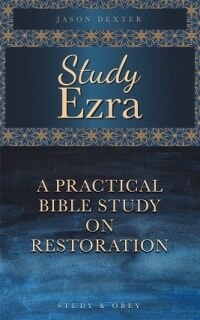 Ezra is one of my favorite leaders in the Bible. He is bold, determined, faithful, and diligent. In Ezra 7:10 it says that “For Ezra had devoted himself to the study and observance of the Law of the LORD, and to teaching its decrees and laws in Israel.” What an amazing testimony! Our hope at Study and Obey is that as you go through this marvelous book, you too will set your heart to study the Word, obey the Word, and also teach the Word. The time period in the book of Ezra is both an exciting and challenging time for the remnant of Israel. They have been exiles in a foreign land due to their own disobedience against the Lord. Jeremiah prophesied seventy years of exile and the seventy years are up. But now the people exiled in the Babylonian Kingdom mostly were not born in Israel and never have seen it. Will they be willing to go to a land that only their ancestors know? What challenges will they face as they set off on this incredible journey of rediscovery? How do the trials, temptations, and successes we see in their lives teach and inform our lives today? You may think that Ezra is just an old book without much relevance. Please study through all of the chapters and see if you still believe so at the end. I was amazed at how practical this book was and made many personal applications to my own life as I studied through it. I believe if you take the time to study it carefully, you too will be equally amazed. Be sure to tell us what God is teaching you in the comments as you go through each lesson!